Although bourbon knowledge is becoming increasingly widespread, I still meet fellow Bourbonites who refuse to drink anything but Kentucky bourbon. While it is true that Kentucky is the birthplace of bourbon, there are some great brands popping up all across the United States. One of these great brands in John J. Bowman Single Barrel Bourbon. There’s a solid reason for the success of the Bowman brand: Sazerac. Sazerac is the parent company of Buffalo Trace distillery, and purchased the A. Smith Bowman Distillery in 2003. Not only did Sazerac invest in Bowman Distillery, the company also lent the talent of one Truman Cox, a ‘mad scientist’ from Buffalo Trace who became the master distiller. According to Chuck Cowdery (author of must read ‘The Best Bourbon You’ll Never Taste‘) Bowman bourbon is twice distilled at Buffalo Trace. Once the new make is ready, it is sent to Virginia where it is distilled a third time, aged for 10 years, and bottled. Unfortunately, Truman passed away in 2013, leaving things to current Master Distiller Brian Prewitt. Mr. Prewitt has inherited an outstanding operation with proven brand leadership and a legacy of successful experimentation by his predecessor. In full disclosure, I saw John J. Bowman on shelves and in bars all over the place in Georgia but – much to my discredit – ignored it in favor of more well known brands. When I finally grabbed a neat pour, the nose was as sweet as pancake syrup and as bold as a cup of coffee. There was the expected charcoal and new make aroma, but with an interesting note of pine. Seriously. Pine. The kind of fresh, minty scent reminiscent of Noah’s Mill. The first sip is nothing like what I expected after nosing. And at 100 proof, one would expect a quick, sharp bite. Not with Bowman bourbon! Initially, there is a sunburst of citrus. The pine nose becomes orange and lime on the palate. Flavors of salted caramel and maple syrup are spiced up with a nice rye tingle. Bowman is truly a bourbon with character! I will say that the palate is such that it doesn’t hold for long. Bowman bourbon carries a mild tannin dryness that only a well aged bourbon can possess, but a lightness usually found in younger whiskeys. The finish is moderately light, dry, and all orange peel. If you are looking for a flavorful bourbon with a nice warmth, this ones for you. I can see myself sipping this at the beginning of Spring. I give this one a B-. 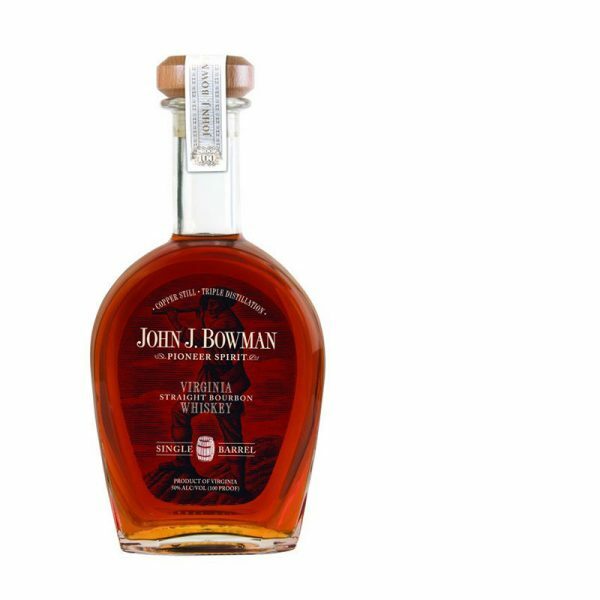 John Bowman Bourbon is definitely not a well whiskey, but it ain’t up there with the best of em either. That’s not to take anything away from this whiskey, but at as much as $60 at some locations, this is not an absolute must have. Give it a try at a bar near you and then you can be the judge! I agree that the Single Barrel is good, but not at that price point. The Gingerbread Stout barrels finished Bowman is well worth a try if you have not had it.